Precious lipids endemic to the skin nourish the skin and make it wonderfully smooth. Vitamin E protects your skin while provitamin B5 and allantoin replenishes it. Hyaluronic acid optimises the skin’s moisture content. 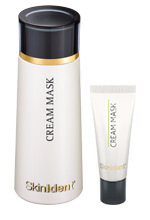 You will be amazed at how pleasant and nourishing this mask is when used regularly.